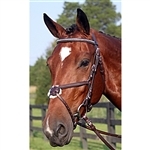 The Nunn Finer® Event Bridle is still one of our most popular bridles! 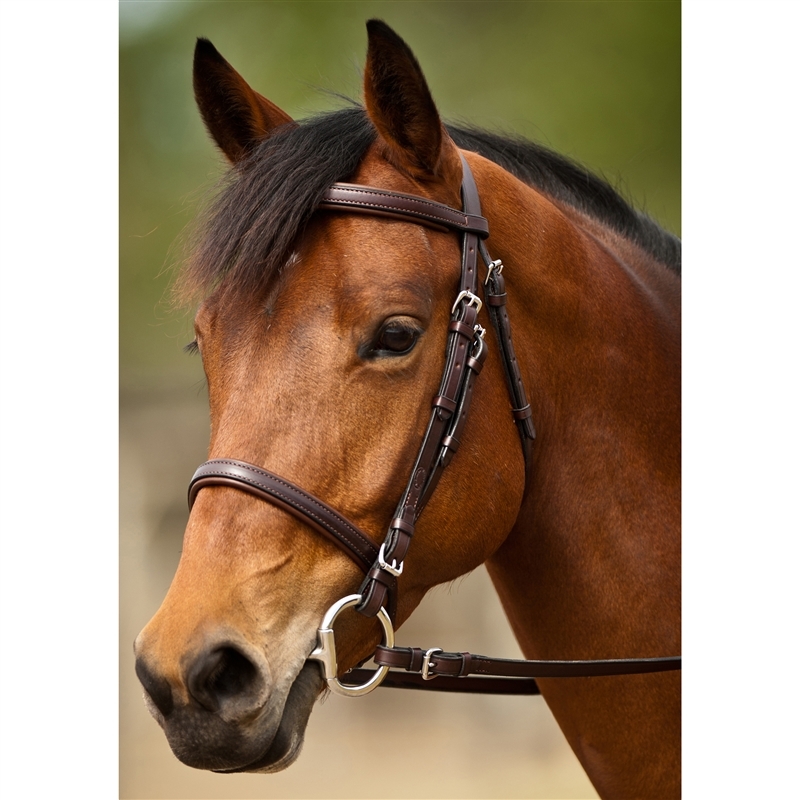 This beautiful bridle will match all of your Nunn Finer® breastplates, martingales, and leathers. Made of superior quality leather with 5/8" cheeks, padded browband, padded caveson, and buckle billet ends. Hardware comes in your choice of Brass or Zinc. Our best-selling Soft Grip reins are now included. Made in America. This bridle has been a best-seller in our store due to the classic look and the quality construction. It's a basic bridle and it gets better with age. More than basic because it offers a really soft-padded comfort crown and a padded noseband and brow. I really like the attractive hardware choice on this bridle too. Choice of fittings allow all tack to match.